It’s a grey, cold November afternoon here, so to cheer things up, let’s celebrate this lovely award and spread love to unique bloggers. Thank you so much Lauren from Comma Hangover for nominating me, I was very excited to receive this! Do check out her blog, Lauren is such a sweet person and her reviewing style is clear, critical and perfect if you’re in doubt whether to read a book or not. 1. Do you listen to audiobooks and what do you look for when selecting one? 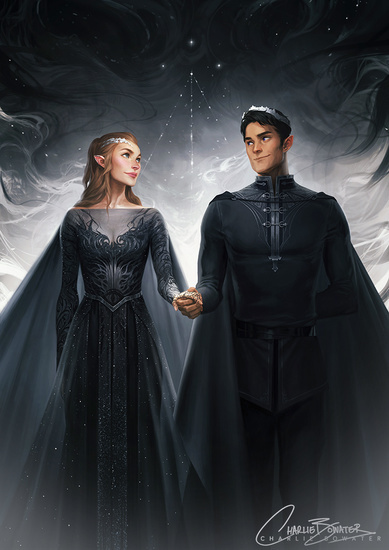 Book: Feyre, from the A Court of Thorns and Roses series, because: Velaris, awesome powers, Rhys… need I say more? TV Series: Difficult! I’m between Jessica Jones and Miss Fisher… but I think I’ll choose Miss Fisher! Gimme all the 20s glamour, sharp-jawed Jack and murder mysteries! Movie: I don’t know if I want to be or date her, but anyways… Atomic Blonde! So goddamn cool, intelligent, badass… and Charlize Theron, so there’s that! Musical: Huh… cannot really come up with anyone! 3. If you could take a one-way trip to any time period, where would you go and what would you do when you got there? R: Honestly, I have no idea. As much as I am curious about the past periods, it just doesn’t sound worth a one-way trip! I really enjoy my voting rights and such. So maybe I’d skip to 100 years from now, as I am curious where technology will lead us, plus hopefully people will be more open-minded by then? What is your favorite imaginary creature and why? If you had to describe yourself using 3 book characters, who would you choose? Do you have a bookish TV series adaptation to recommend? Thanks for tagging me. LOVE your questions! This is a fun, great post! Congratulations, Naty and thanks for the nomination! Gosh I’m so sorry, I realized just now that I misspelled your name. Fixed! Oooh you will love him, I’m sure!! Yes, I definitely feel that I start losing focus with audiobooks pretty quickly. I do enjoy them for walks and such, though! Congrats on the award, and great answers! 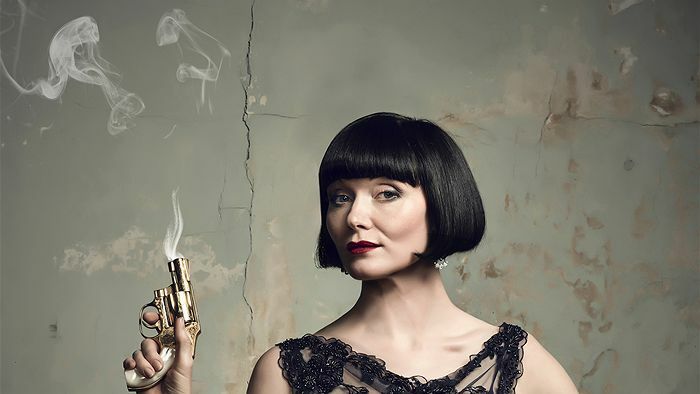 I’ve never seen Miss Fisher, but I keep seeing it around. I might have to check it out! Hehe I hope you love her too! I found her by accident on Netflix, really, and have gotten addicted since. Oh I do love Miss Fisher! I binge watched it with my parents on their boat:) Finally a show we could all agree on! Yayy! Miss Fisher is fantastic! I heard there’s a movie coming up, by the way! Feyre is the perfect answer 😉 Absolutely love your questions!! Yay!! Thanks 😀 I hope you enjoy answering them!